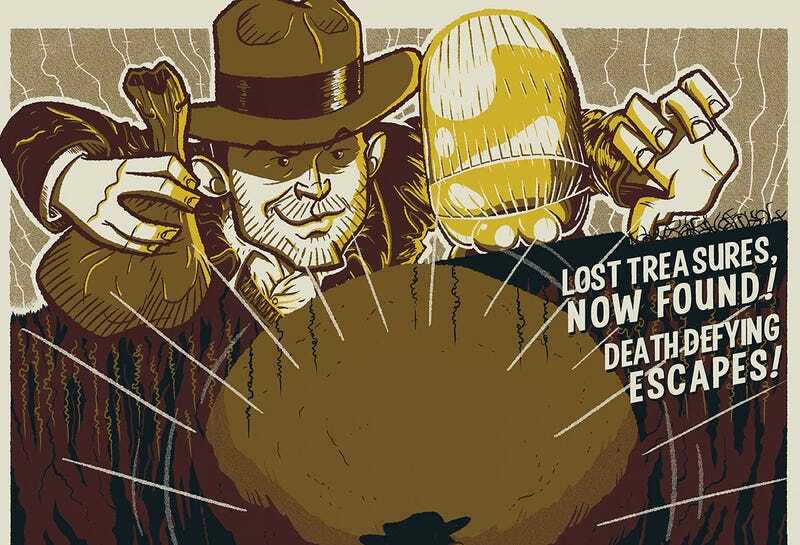 The reason we all love Raiders of the Lost Ark is how fun it is. It’s rousing, exciting, sprawling, it basically has it all. Steven Spielberg and George Lucas teamed up to make a movie that makes you feel good, and so too does this poster. The poster is by Ian Glaubinger and it’s called “Chasing Adventure.” Measuring 18 x 24 inches, 150 of them will go on sale at 11am PST Friday November 20 at Dark Ink.